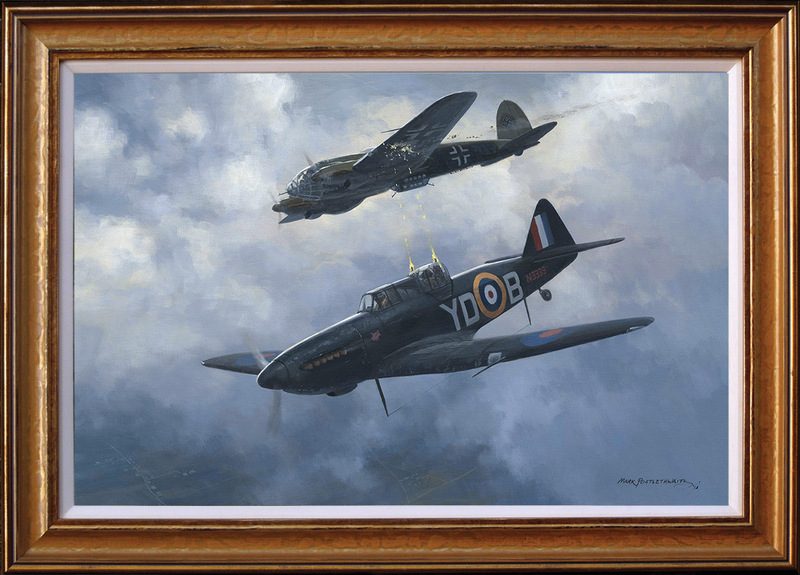 Pilot Officer ‘Sandy’ Ballantine and his gunner Sergeant McTaggart engage a Heinkel 111 over North Lincolnshire on the afternoon of 7th March 1941. Ballantine was airborne in Defiant N3333 YD-B of 255 Squadron performing an air test when he came across the Heinkel in layers of cloud. Less than two months later both men were forced to bale out of this aircraft when it was shot down in combat over Nocton in Lincolnshire.